I know some of you are in the midst of a heat wave, but there are some of us who have been hunkering down in sub-zero temps for multiple days at a time. And, believe it or not, I don’t really mind the cold weather. Especially if there is a lot of snow involved! I love the cold, crisp air and the clean, white snow. There’s something that is both invigorating and peaceful to me about a cold, snowy winter day. Which is a good thing since I live in Minnesota! This recent round of frigid temperatures got me thinking about comfort food. 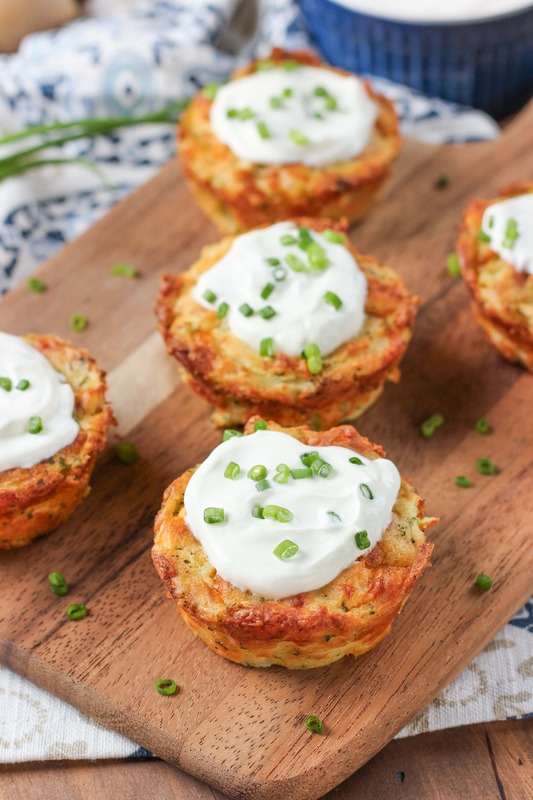 Enter these broccoli cheddar potato puffs. Warm, cheesy, creamy, crispy comfort food! And super easy to make! All you need are a handful of ingredients that you probably already have on hand. The base of the puffs is a pound of white potatoes from Potatoes USA. 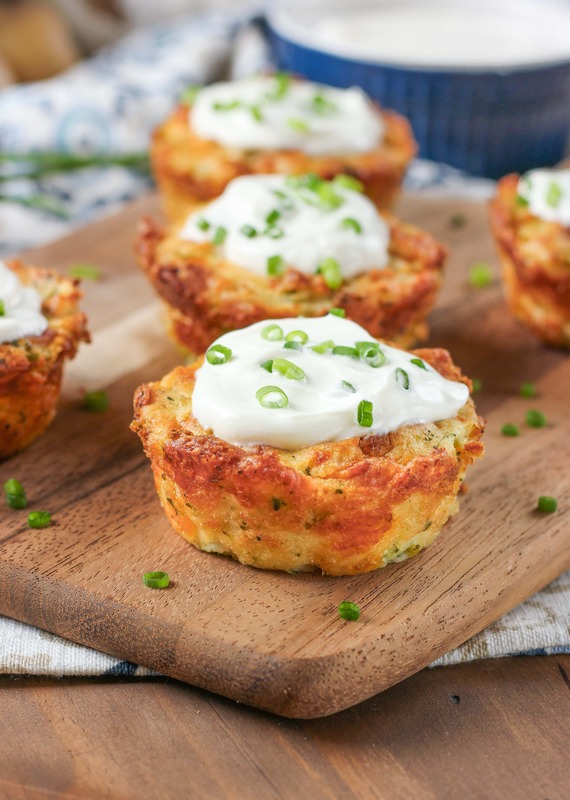 With their slightly dense, slightly creamy texture, they are the perfect choice for these puffs! Because their skin is thin and delicate, you don’t even have to peel the potatoes before mashing if you don’t want to! 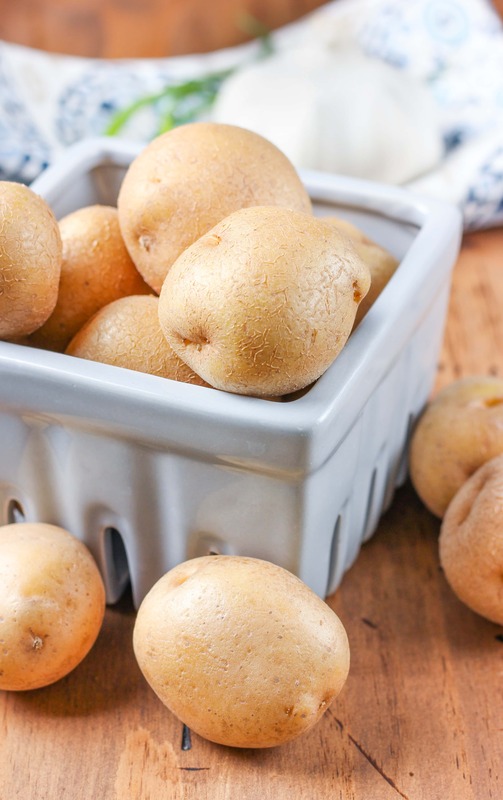 Since potatoes are a cheap and convenient food, we usually have a few varieties in the house at any given moment. 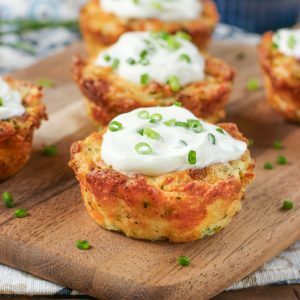 So when I get the urge to make cheesy comfort food like these broccoli cheddar potato puffs, I don’t need to run to the store! First you mash the potatoes with some butter, salt, and pepper. Then you add in some cheddar cheese, broccoli, a couple of eggs to hold everything together, some chives, and a clove a garlic. Scoop it into a muffin tin, and bake! Let them cool for about five minutes after pulling them out of the oven, so you don’t burn your fingers getting the puffs out of the tin! Then garnish with sour cream and a few more chives and serve! We served them as a side dish to round out our meal, but I’m pretty sure I could make a meal out of the puffs alone! Or if your football team is still in the running (we Minnesota fans are still in disbelief over the win last week! 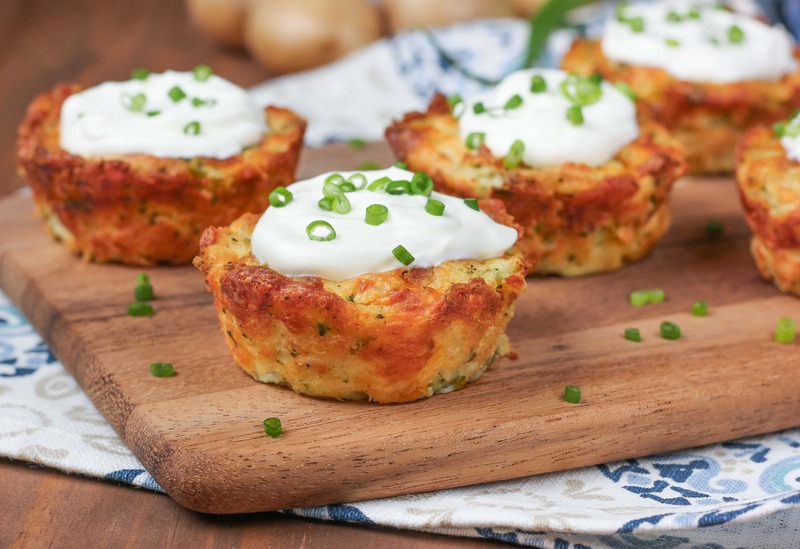 ), these potato puffs make a great addition to your game day party! Preheat oven to 400°F. 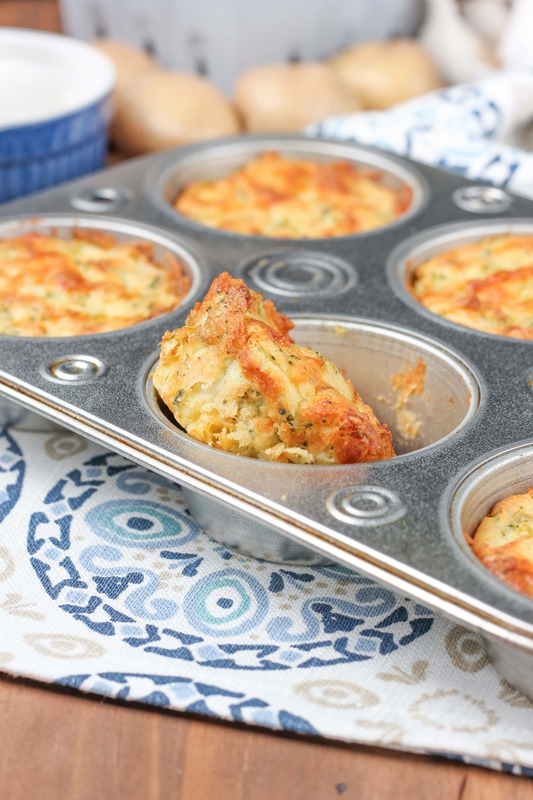 Spray a 12 cup muffin tin with non-stick cooking spray. In a large bowl, combine mashed potatoes, cheddar cheese, broccoli, eggs, chives, and garlic. I am a Nebraska native living in Colorado and I will be rooting for the Vikings!!! That was one unbelievable win!! Okay first off this is just a super fun recipe to say! haha And they also look delicious!